The FAA says 181,000 drones and counting have been registered since December 21. In December, the agency made it mandatory for hobbyists to register their drones before flight. "We're encouraged by the registration numbers we're seeing so far," FAA Administrator Michael Huerta told reporters at the Consumer Electronics Show in Las Vegas. The FAA also announced the launch of a new mobile app for Apple and Android devices, B4UFLY, which will help drone owners avoid breaking the law. "We expect B4UFLY will help raise public awareness about what it means to operate unmanned aircraft safely," Huerta said. "It is another important part of our ... efforts to foster a culture of safety and accountability for the [unmanned aircraft systems] community." The app tells consumers where they can and can't fly a drone. Using the phone's location, it can detect nearby restricted airspace, like an airport, or areas with temporary flight restrictions like those near a fire or crime scene. It also features a planner mode that allows the user to see any time or location restrictions for upcoming flights. 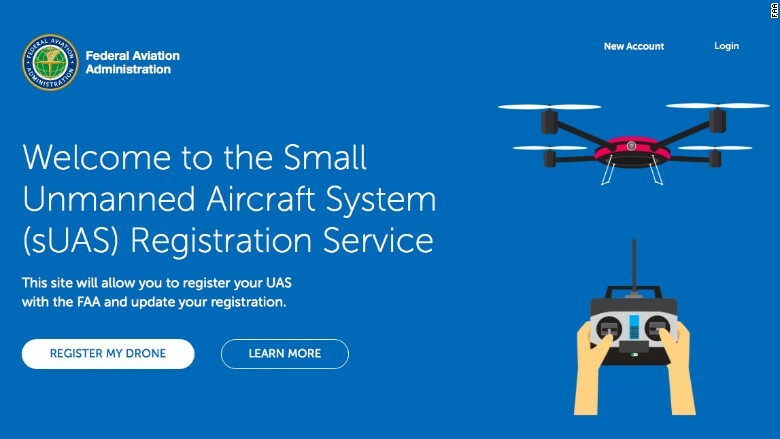 The FAA's registration process is operated using the honor system -- it's consumers' responsibility to register their drones. Not registering your drone could mean penalties of up to three years in jail, or as much as $250,000 in fines. Consumer electronics organizations estimated about 400,000 drones were sold this holiday alone. Registration is required for drones that weigh between 0.55 pounds and 55 pounds, which excludes many sub-$100 "toy" drones. Consumers enter basic information into FAA's online system and must acknowledge that they've read the FAA's basic safety guidelines. Registration costs $5, but the fee will be refunded if you register by January 20. Registration is valid for three years, and hobbyists can register an unlimited number of drones. Drones used for commercial purposes must still register using the older, paper-based system.